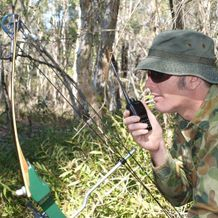 AUSCB decided to concentrate on handheld radios in particular, because they are simply the most flexible, multi-use and cost effective platform to work from. By specialising, we can produce a much better product and better service. Handheld radio technology today is simply superb, in-part to surface mount PCBs, clever design, smart engineering and quality components, and all in a size that is compact and convenient. Our radio produces full power transmit output, has one of the most sensitive receivers available, and exceptional battery life. 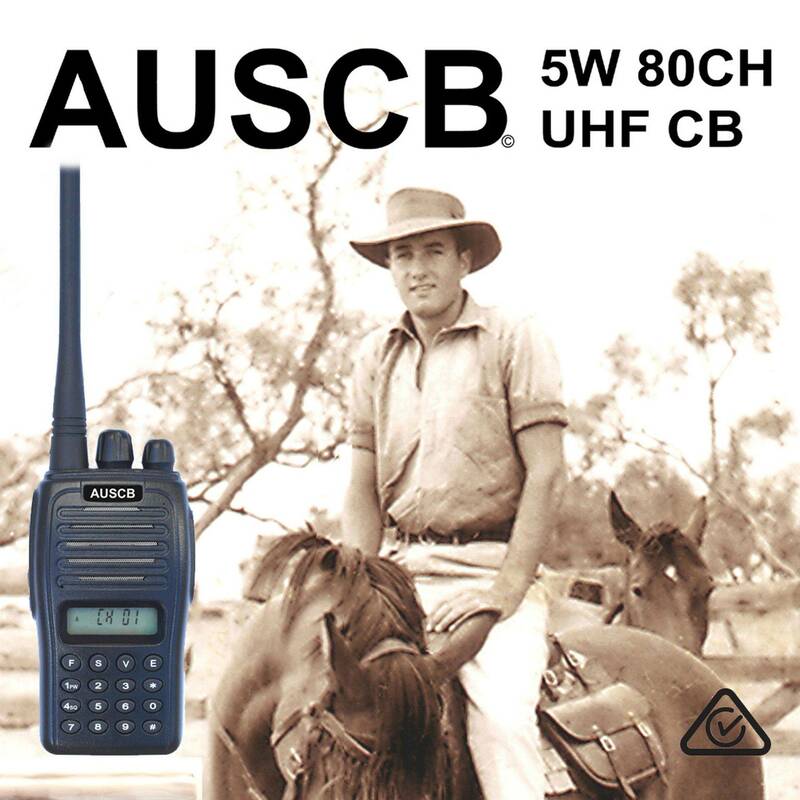 Being Type Approved to Australian Standards (a legal requirement for the supply and use of radios in Australia for CB, commercial or private use) attests to the quality. 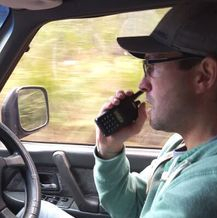 The specs on our handheld radio equals and often exceeds those of a mobile unit. Handheld radios have a host of accessories available to them that just aren't practical or available for in-car mobile units, increasing the handhelds flexibility to do many different jobs. Handheld radios can be even set up as self contained portable semi-base units in offices and the like, by choosing the right accessories. This is also very cost and space effective. Increasing too, drivers are choosing to use a handheld CB in vehicle, instead of mounting a mobile unit, because space is at a premium, it is easier, and it works. 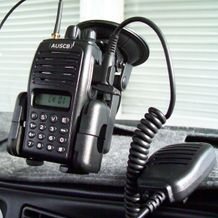 A handheld radio has the added flexibility to easily take with you from the car into the field and use. Consider too the extra safety aspects of being able to carry a handheld radio when hiking, camping and the like.